Yay! A brand new member of the RoadsideWonders family! 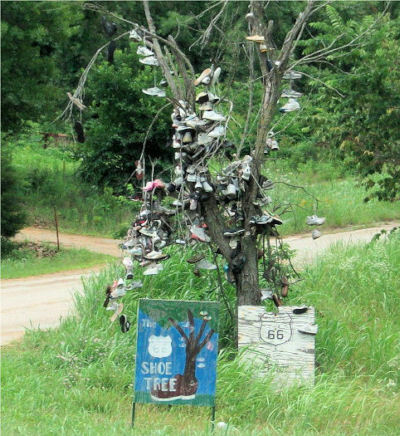 Gary adds the Route 66 Shoe Tree (in Stroud, Oklahoma) to our shoe tree collection! Do you have a “shoe tree” in your neck of the woods? Too cool, I want a shoe tree, too! Haha. My shoe tastes, fortunately, don’t run to the terribly expensive. That leaves more $$ for purses and jewelry.